Truth be told this year has been kind of slow especially before Social Media Week. We had very few events and shows to attend. It was like a drought. 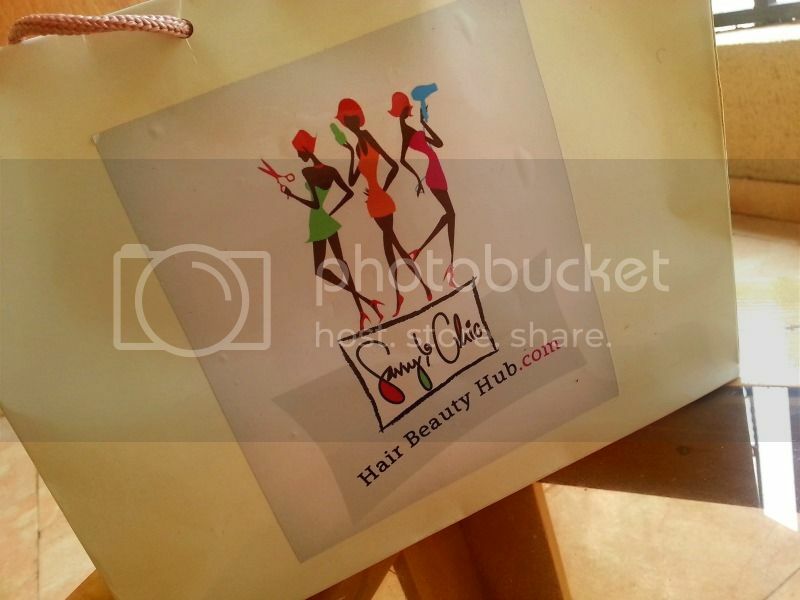 When my boss at Spice TV called and said we had a beauty store launch to attend my heart leaped for joy. Saturday beckoned, there was something else we had to do earlier in the day (I forget now) while the launch was in the evening. Evening came, and we were there. Unfortunately, African time prevailed but the event finally started. 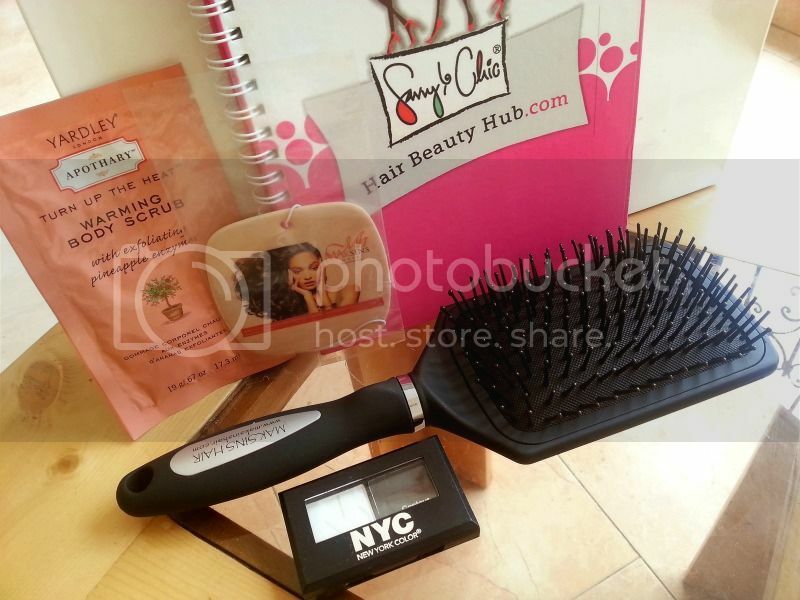 A little introduction, Savvy & Chic Beauty Hub is simply a place to get authentic hair & beauty products at an affordable price. 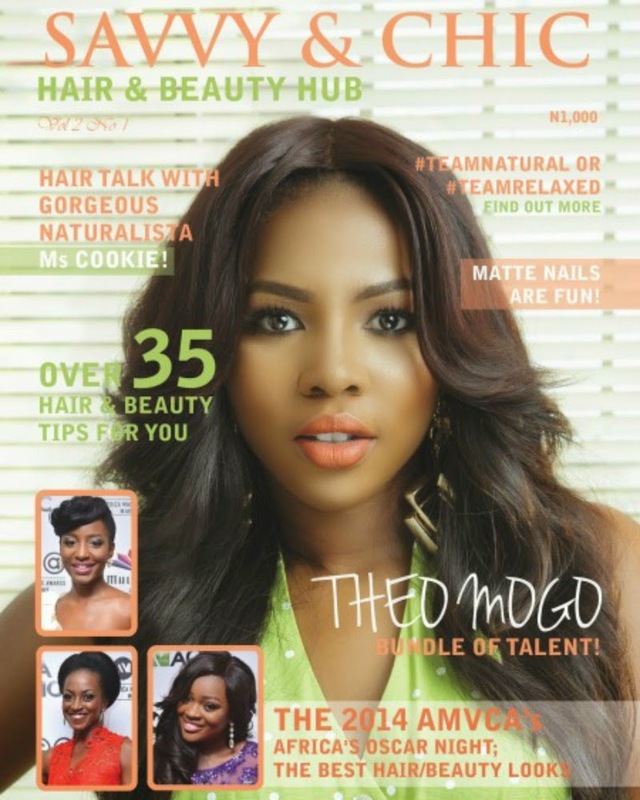 Owned by Daboju Ogboru (who also happens to be the owner of naijahaircangrow.blogspot.com). 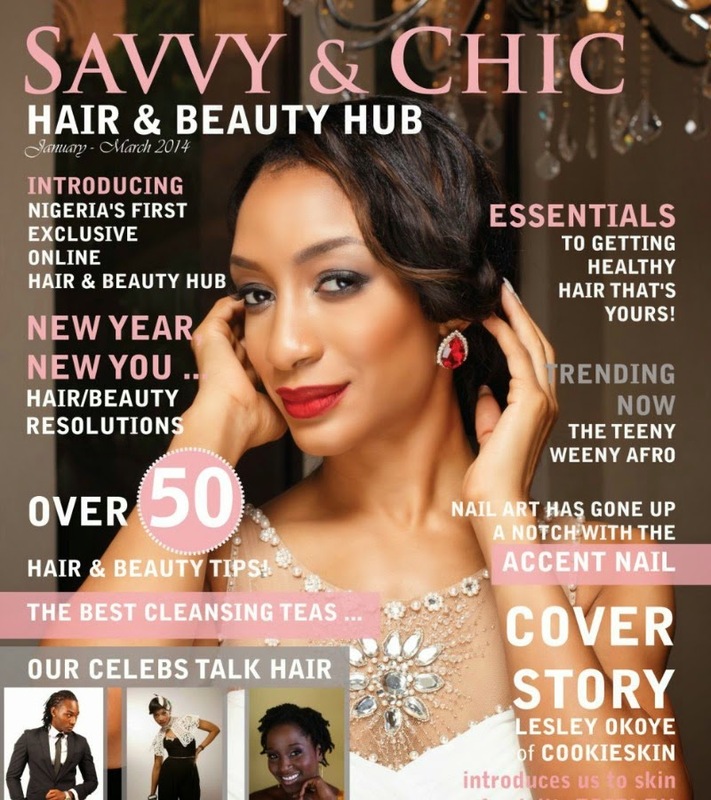 Savvy & Chic has a magazine, an online store as well as a physical store located ion Awolowo road Ikoyi. Leslie Okoye of Cookie Skin was the brand's first Cover girl and she was present at the launch of the store. Along with Leslie Okoye, Oreka Godis of Ebonylife TV was also present at the launch and Spice TV's Sharon Ojong. The Savvy & Chic Shea butter mixes are the best ever both in scent and texture. As usual, at beauty events or programmes, there are always goodie bags. 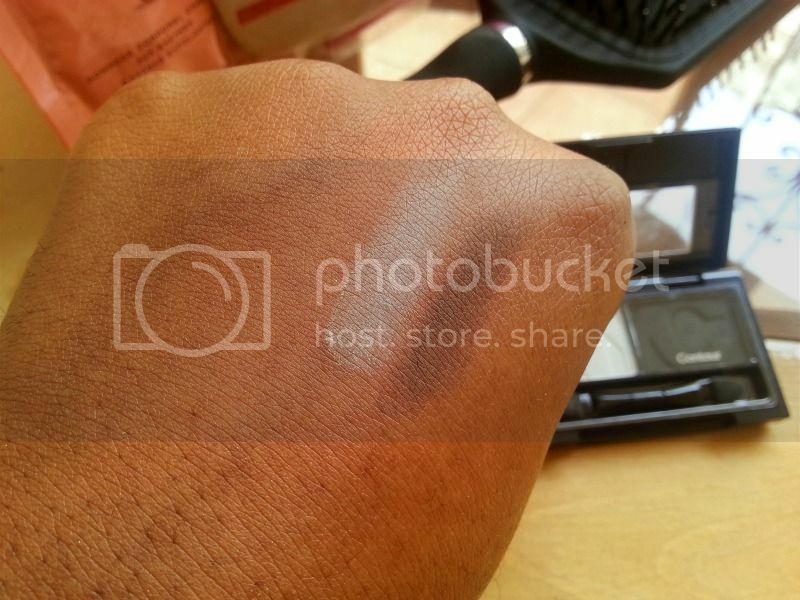 a swatch of the eyeshadow duo. Not very impressive but I gave it to my sis and she is having fun with it so it wasn't a waste. I haven't had time to go back and get the shea butter mix for my hair but I definitely will. I highly recommend it for hair and body so if you are ever nearby - 34A Awolowo Road, Ikoyi, Lagos; make sure you step in and get a jar. Awww thanks so much for this review. We appreciate your support. The pleasure is all mine Dabs. I'm still looking forward to the Shea butter mix.